Chikuni-no-syo had been an important place located on "Shio-no-michi Highway". This historical highway played a large role in people's lives and distribution for a long time. Chikuni-no-syo Achives show you the history of Shio-no-michi. ・Opening Hours / 8:30 a.m.－5:00 p.m. This museum has a Japanese traditional style in appearance. Especially, you can see the historical materials for "Shio-no-michi", such as salt scales, unique straw sandals and nail clippers of cattle. ・Opening Hours / 9:00 a.m.－4:30 p.m.
Ushikata is a job name of a cowherd who carried straw bags of salt by cow. Ushikara went over the mountains with 6－7 cows. Ushikata-yado was accommodation for Ushikata. It keeps the history of this highway lively. ・Opening Time / 9:00 a.m.－4:30 p.m.
Kurobe Dam is a huge arch dome dam and the height is 186 meters. It is worth to see the powerful discharge of water. There are also other tourist spots to visit: Lake Kurobe Cruise Ship and Dam Lake Trekking. ・Opening Hours / 8:30 a.m.－4:00 p.m.
・Closed / Dec.－mid-Apr. Open every day during the summer season. Zenkoji is the famous large temple in Nagano City. It has had an important role for not only Buddhism but also people's lives since it was founded in 642 AD. Now, many people visit here for sightseeing. ・Opening Hours / 5:30 a.m.－4:30 p.m. The black wall is one of the big feature. Matsumoto Castle is a National Tresure and the oldest extant five-structure castle founded about 400 years ago. You can see the panoramic view of Matumoto, Northern Alps and Utsukusigahara. In April, the cherry blossoms bloom beautifully. Hakuba Ski Jumping Stadium was used in Nagano Olympics. You can climb up and see the start point by lift and elevator. Olympic Memorial Museum displays and shows the records of those days. ・Opening Hours / 8:30 a.m.－4:30 p.m.
You can enjoy Onsen here. It has Hinoki (Japanese cypress) bathtubs and open-air baths. Relax yourself after skiing, trekking and your long trip. ・Opening Hours / 10:00 a.m.－10:00 p.m.
・Access / By Car: 60 km from Toyoshina I.C. By Train & Bus: 25 min. by bus from JR Oito Line Hakuba Sta. The open-air bath has the special bathtub made from natural stones. Tsuga-no-mori Sou offers you a refreshing time. 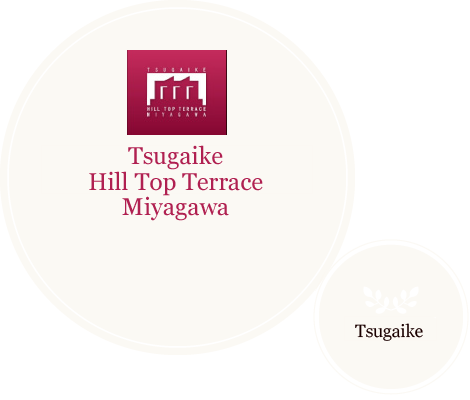 It is 5-minute-walk from Tsugaike Kogen Ski Resort.